A holiday house in Sogn and Fjordane costs on average GBP 514 in the cheap travel period and GBP 978 in the peak season per week. These details are of course in relation to the house and not per person as well as includes the obligatory additional charges. Sogn and Fjordane, a beautiful county in Western Norway, is home to the longest ice cap and largest fjord. Measuring over 200 kilometers, the Sognefjord is Europe's longest fjord! The county is bordered by isles and coasts with a mountainous inland, providing breathtaking backdrops during your stay in the holiday houses in Sogn and Fjordane. 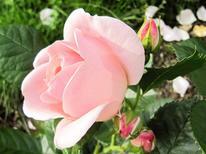 The peak visitor season is during the mild climate from April to May, with December to April popular for skiiers. Førde and Måløy are two cities with ample choices of holiday houses. For coastal holiday rentals rent in Florø. Stay in the holiday homes of Sogndal to visit De Heibergske samlinger for its old houses and tools collection and Kaupanger stave church. December is the time to visit Sogndal for skiing. Choose holiday apartments in Lærdal to explore the Borgund stave church and hike the old village of Gamle Lærdalsøyri. 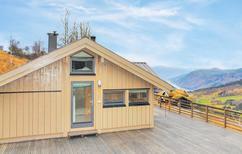 For a quiet holiday rent the holiday homes by the Jølstervatn lake in Skei. 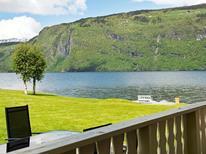 Book the holiday apartments in Balestrand for panoramic views of Sognefjord. Flights connect the county with Oslo and Bergen. A car or bus ride is needed to get around. To get out and explore the dramatic landscapes, walk the Jostedalsbreen glacier (the largest of its kind in continental Europe) or visit the stave church of Undredal village in central Nærøyfjorden, a UNESCO World Heritage site. (The goat cheese from this village is a must-try.) For lower key activities, visit the Fjærland Glacier museum or take the scenic train ride from Flåm to Myrdal, one of world's steepest tracks. Be it for active holidays or a relaxing getaway, a vacation in a holiday home in Sogn and Fjordane offers travellers many things to see and do.